Greetings Veterans and Service Members! 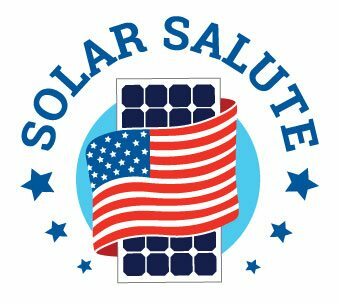 This program is for veterans, active duty service members, and reserves who would like to purchase a solar energy system. We offer a $500 discount off a PV system, and a $250 discount on thermal energy systems, with an equal matching donation to a veterans organization. The economics of solar energy have never been better! Solar electric systems have no moving parts, and come with a 25 year warranty (expected lifespan of 40-50 years), which means you can lock in your electricity rate for decades. Solar energy is a reliable, renewable resource. Solar energy contributes jobs to the local economy that cannot be outsourced, and by building our local energy production resources we reduce our dependence on foreign energy sources. With solar, you achieve three ‘wins’ – A win for your wallet, a win for the environment, and a win for society. Use the form to the right to sign up for more information, no obligation or heavy-handed sales pitch. All information sent to us is private and kept internally with ReVision Energy. NOTE: The $500/$500 discount applies to veterans, active duty service members, and reserves. This discount cannot be combined with any other offer. Current customers can utilize the discount within 60 days of their contract date. Please have identification available to verify your military status upon inquiry. Your privacy is sacred to us. Your information will be shared with NO ONE.